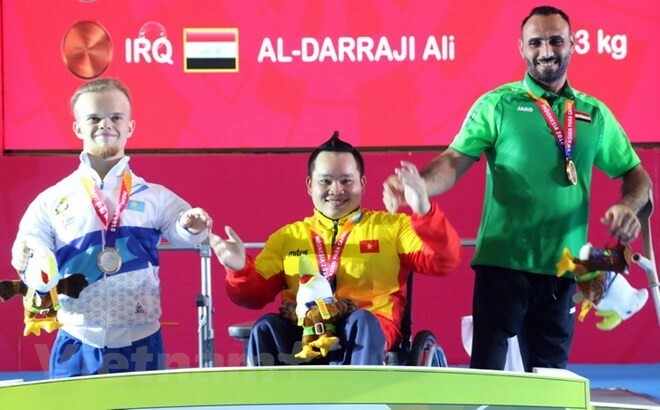 (VOVWORLD) - Weightlifter Nguyen Binh An won the second gold medal for Vietnam at the ongoing Asian Para Games 2018 in Indonesia on Monday. In the men’s 54kg para power-lifting, An successfully lifted 178kg, surpassing seven rivals to secure the title. On the first day of the Games on Sunday, Vietnam won its first gold medal. Athlete Nguyen Thanh Trung finished first in 100m men’s breaststroke, swimming in the SB4 disability category with1 minute 48 seconds. “I am very proud and happy. I hope that this first gold medal will bring good luck for the Vietnamese athletes at this year’s Asian Para Games. I have made a lot progress compared to where I was 4 years ago thanks to my coaches,” Tung told VOV. Later the same day, Vi Thi Hong won bronze medal in 50m women’s free style swimming in the S7 disability category with 39 seconds and 56. 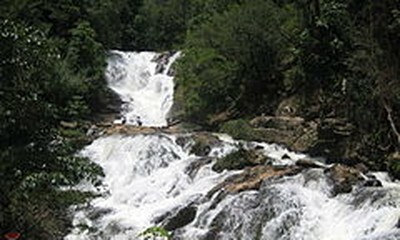 The Vietnamese team comprises 54 athletes, and has set out to win at least 4 gold medals.